Longtime undocumented immigrants struggle to convince judges to cancel deportation orders. Tears in her eyes, Reinalda Flores issued a plea to Immigration Judge David C. Anderson. "If they expel my son, I believe I'm going to die," she told Anderson through a translator on a May morning. One of six children, Serafin Flores-Cervantes, age 43, is Flores' youngest. He came to the U.S. from Sonora, Mexico, in 1994. Almost a quarter-century later, he sat in Anderson's courtroom in the Salt Lake City immigration court in West Valley City, hoping the judge would grant his application for a "cancellation of removal"—or voiding an earlier deportation order. If so, he'd be allowed to stay in the country and take care of his aging mother and father, an elderly couple legally living in the U.S. who are plagued by health issues like high blood pressure, anemia and heart problems. "I do more because I'm single," Flores-Cervantes said, explaining how he sent about $500—an amount he can afford because, unlike his siblings, he doesn't have a family to support—to his parents every month when they were living with his sister in New Jersey. Now, they're living with him in Utah, so he can keep an eye on them while continuing to help them stay financially afloat. In his closing argument, Germán Flores, Flores-Cervantes' attorney, reiterated that the whole family lives in the U.S. "Think about how difficult it would be, especially for the mother," he told the judge, noting his client's financial contributions. "He's made his task on this earth to take care of his parents." Anderson left his courtroom to ponder the family's fate. Seven minutes later, he returned and denied Flores-Cervantes' application. Anderson stated all the burdens had been met except one—"a showing of exceptional and extremely unusual hardship resulting upon removal." "The standard of proof is so high," Germán Flores said after the ruling. The three judges at the Salt Lake City immigration court hear the cases of immigrants living in Utah, Washington, Idaho and Montana. According to a database maintained at Syracuse University, there are 2,460 cases pending in the local court. Immigrants—called "respondents" in immigration court parlance—wait an average of 496 days for a judge to issue a ruling, not including an appeal. Judges preside over immigrants' initial appearances and rule on whether they will be allowed to stay in the country, based on their applications for relief that would spare them from deportation. City Weekly has previously reported on the high burden that must be met in order to be granted asylum. Successfully arguing a cancellation-of-removal case for an undocumented immigrant is similarly difficult. Respondents are granted cancellation of removal if they demonstrate to a judge that they've lived in the U.S. for at least a decade, are a "person of good moral character" and have not been convicted of certain crimes. But the hardest standard to meet is showing that a deportation would cause inordinate duress to the respondent's spouse, parent or child younger than 21, provided those family members are lawful permanent residents or American citizens. "It's very difficult to win," immigration attorney Brian Lofgren says. "The law is written so that very few cases qualify." Generally, having elderly parents or very young children isn't enough to successfully argue a case. "You have to prove this super-high level of hardship," Lofgren says. "You get rewarded if your U.S. citizen children are severely ill or disabled," he adds. "That the perverse reality of it." "It's so difficult to look at a family of four kids and say, 'You're all healthy, you don't have a case, I'm sorry,'" immigration attorney Adam Crayk says. "I think you win maybe 15 to 20 percent of the cases you try." Crayk says, thanks to the law, immigrants who are upstanding members of their communities—who pay taxes and care for their families—can find themselves forced into immigration court proceedings because of minor infractions like receiving a speeding ticket. Often, they're ordered to leave the country because their circumstances don't qualify them for relief from deportation. "It is moronic the way the system works," Crayk says. Flores has experience setting legal precedent for cancellation-of-removal cases. In 2002, the judges on the Board of Immigration Appeals ruled in favor of Flores' client, a mother of six children—four of whom are U.S. citizens—despite the fact that none of them had serious health issues. The judges approved the application because, if sent back to Mexico, the respondent would have been the sole financial and familial source of support for her children, who also don't speak Spanish. The case is cited by attorneys arguing cases that aren't based on medical hardship. Flores and another attorney are representing Flores-Cervantes as he appeals Anderson's ruling. "What the judges are doing is, 'Well, the other children are here, they can take responsibility for their parents,'" Flores says. "My argument is going to be, 'Why is it that U.S. citizen parents who are senior, old and sick, why is it that we're going to exacerbate their condition by losing one of their children?'" Flores says. "I am a parent. Can you imagine losing one child as you get older?" Flores believes immigration judges often lack a full understanding of Latin American and Spanish cultures. "We never take care of our parents in hospice or nursing homes," he points out. "There's always one child who is special for that, and that is always ignored." 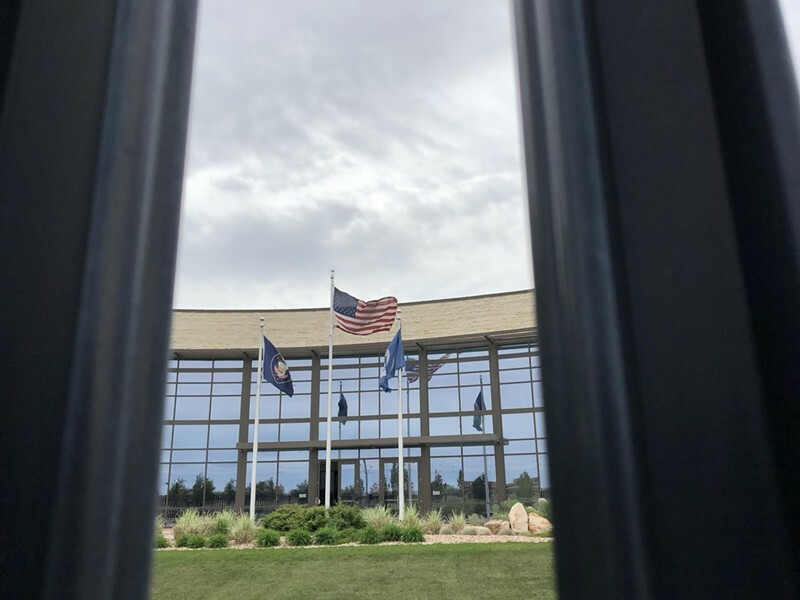 Crayk predicts that more cancellation-of-removal cases will be tried in the Utah immigration court, considering the Trump administration's broadening of the scope of deportable offenses. "Almost all the cases I have like this have been denied because the judges believe there's no case law to support these facts," Flores says. In the quiet halls of the Salt Lake City immigration court, moments after Anderson's ruling, Flores considers his client's situation and his 2002 precedent-setting case. "That's why we've got to take these cases to appeal," he tells City Weekly. "Perhaps we can have a different scenario, to change the law again."